Hi everyone, I’m thrilled to be back to visit Jenny and her readers with a healthy recipe for you and your family. One of the things I love most about cooking is finding a popular, traditional dish and transforming it a nutritious meal without losing that fabulous flavor. 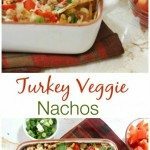 My latest project was nachos and I know you’re going to love this because it can be a snack for a crowd or you can serve it for dinner. The kids will be saying ‘What? 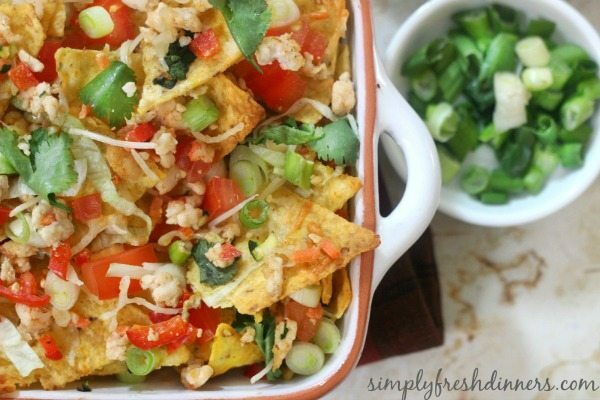 Nachos for dinner? !” and you can just smile and slip this scrumptious goodness onto the table. 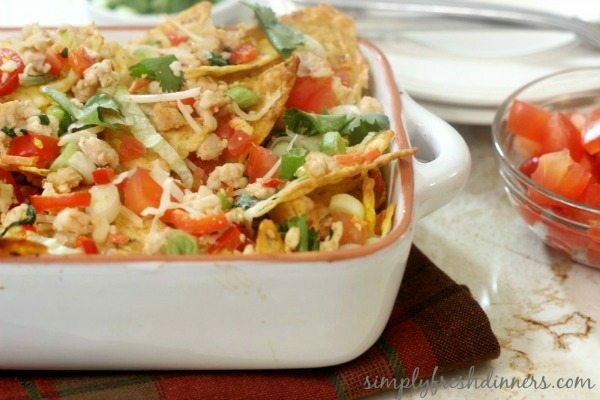 All through football season, I was pondering on better nachos because these are especially popular for big crowds gathering for the games. It occurred to me that I could borrow some ideas from my Turkey Burger recipe to get started. They have a great kick and have a lot of veggies that the kids won’t even notice. I’ve included carrots, peppers, zucchini and even spinach with my secret ingredient addition of smoked paprika to give you a recipe that your friends will be asking for. I used organic, gluten free, whole grain tortilla chips but another healthy alternative would be to purchase whole grain tortillas. Simply brush both sides of tortillas with olive oil and stack them, slicing into 8 wedges. Arrange on baking sheet and bake at 400F until crispy and golden – about 8 to 10 minutes. Give them some time to cool before proceeding with the recipe. 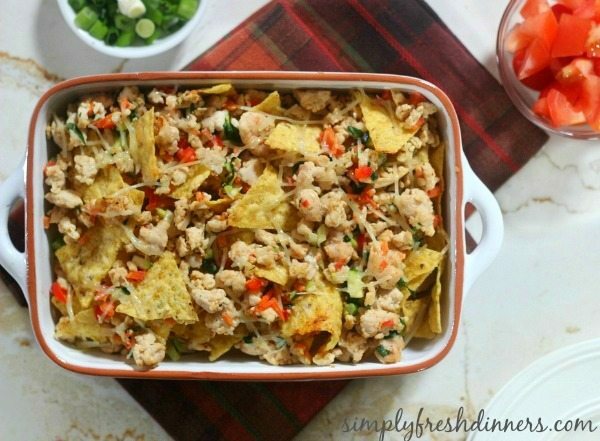 Top this with shredded lettuce, chopped tomatoes and green onions and you’re going to be serving up a crowd pleaser. Don’t forget the fresh cilantro. It’s a perfect complement for the turkey but if you have those folks who detest cilantro and think it tastes like soap, go for parsley – no point in turning your happy, healthy crowd into an angry mob! If you like ground turkey recipes, I cook with it a lot and my turkey meatballs are easy and can be used with subs, spaghetti or as a tasty appetizer. Cheers! Add spinach and zucchini, cook for 2 minutes, remove from heat. Spread tortilla chips out on baking sheet. Spoon turkey mixture over, then sprinkle with cheese. Broil in top third of oven just until cheese melts, 1-2 minutes. min. Serve topped with lettuce, sour cream, tomato, green onion and cilantro. Traditional snacks don’t need to be full of fat and calories. 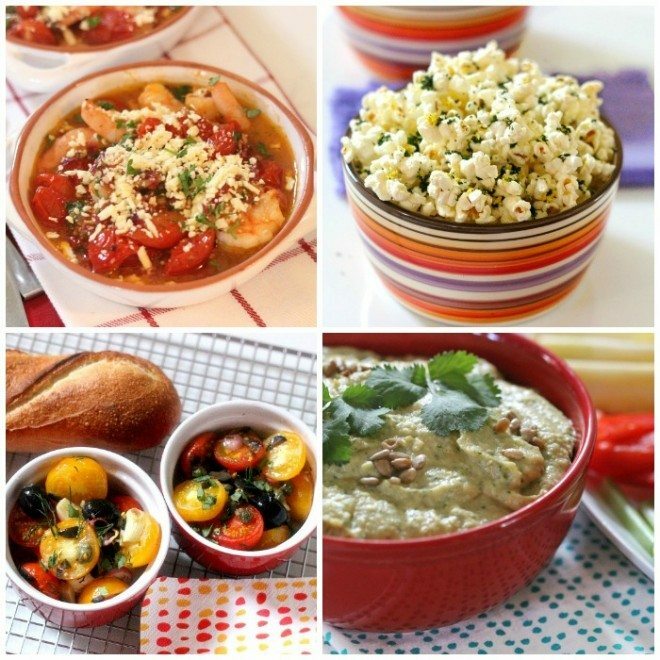 The recipes below are packed full of lip-smacking, guilt-free gusto! Hello Jenny and Robyn! 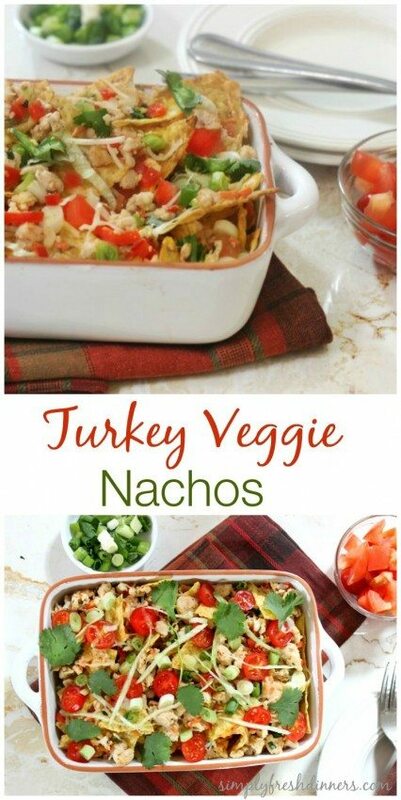 Loving this twist on the usual nacho fare with veggies and turkey and of course my boys would love this for dinner too! Thanks so much, Shannon. They were a big hit with all ages!